Curiosity is a very interesting thing as it keeps a person enchanted about the products that are yet to hit the market; especially when it is about something as special as a futuristic SUV. For 2016, Porsche has kept its Cayenne Turbo still undercover, but the spy images leaked of this most anticipated vehicle have raised the eyebrows. Although, they have failed to grab much attention because there is a lot that has to be done before reaching to the final conclusion and according to spy images, it is too early to make any judgments about 2016 Porsche Cayenne Turbo. Currently, Porsche has been working actively on suspension, exterior and interior trim, drive train and technology while testing it on several performance parameters. Delay in final announcement from Porsche is also keeping all the attention for Cayenne Turbo at bay, still we have managed to jot down an outline that can help in understanding what exactly the 2016 Porsche Cayenne Turbo will have to offer. As per the leaked spy images, the new Cayenne Turbo exteriors will remain largely unchanged and will be strikingly similar to its current generation cousin with almost similar grille, bumper and design. However, we cannot be really sure about the drive train because the official confirmation is still awaited and seems to be distant dream. But if we make judgments based on the images, we can say that minor changes in head lamps are likely as they will add to its visual athletic appeal. It is also speculated that 2016 Porsche Cayenne Turbo will have fairly comfortable interiors with work done on details minutely to meet the technology and refinement. It is expected that Porsche will soon make revelations about its additional upgrades in interior. However, things get little excited under the hood with amazing technical upgrades along with the speculation of refined hybrid variant. To be christened as Cayenne S Hybrid, the eco friendly version is most likely to come with 3.0 liter has hybrid engine, which will be lifted directly from Porsche’s Panamera S E hybrid, with the expected 416 BHP and 435 ft lb of torque. The speculated performance figures are relatively high if compared to the overall weight of the vehicle, which can also put this giant a way ahead in competition. Even though we cannot reveal actual details about 2016 Porsche Cayenne Turbo without any actual information, but we can actually try to recreate the driving experience by making comparison with its current generation model. 2016 Porsche Cayenne Turbo should be able to accelerate from – to 60 MPH within 6 seconds with the top speed of 155 MPH, it is also expected that the Hybrid version of Cayenne Turbo should return approximately 20/24MPG city/highway, which is considered decent for this class. With no official announcement coming out from Porsche it is too early to speculate about 2016 Porsche Cayenne Turbo’s price. 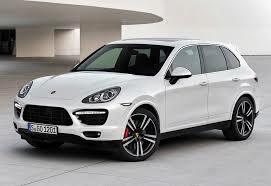 Porsche has been planning to launch this SUV by the mid of 2015, which seems a good news for Porsche customers. So keep looking for this reliable, efficient, economical and highly spacious urban commuter.